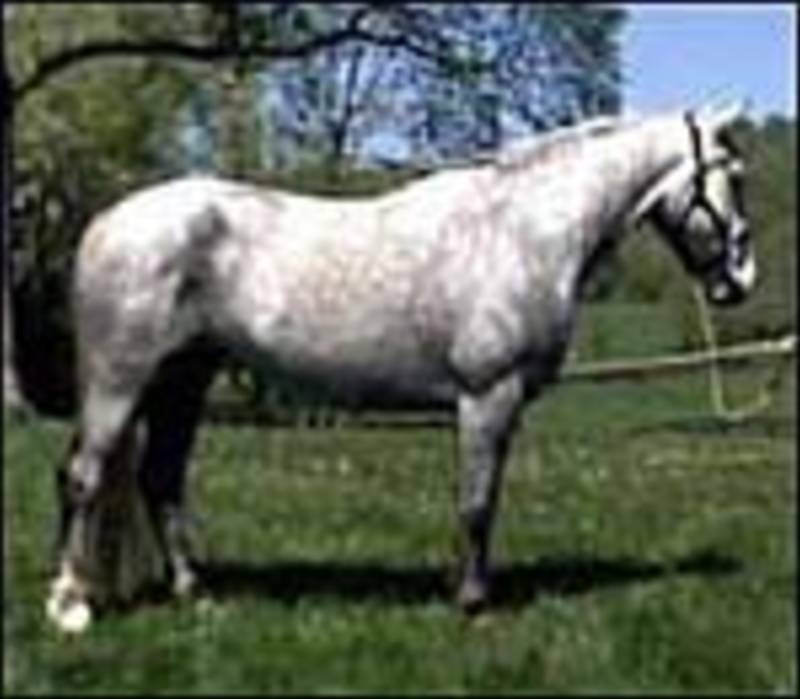 “Loughleigh” is a 1996 16.3H, grey, RID mare with impeccable bloodlines. That combined with her strong correct limbs, great shoulder and huge stride make her the image of what an RID mare should be. She has been professionally trained under saddle in Ireland. Winner of the Produce of Dam at the 2004 IDHS(NA) National Show. 2002 RID Mare, Bridon Loughlara, by Glenlara was the Reserve Champion Purebred Foal at the 2002 IDHS(NA) National Show. Reserve Champion Mare at the 2004 IDHS(NA) NER Show. 2nd Place Purebred Youngstock at the 2004 IDHS(NA) National Show. 2004 colt, Whelan Gentleman Jack by Tors Gentleman Farmer, was the IDHS(NA) National Foal Champion in 2004. Bridon Loughlara was the Supreme Champion, Champion Purebred In Hand, Champion North American Bred, Champion Younstock and Champion Purerbed Female at the 2005 IDHS(NA) National Show. She is by Holycross, who has produced several show horses successfully competing in Ireland and England. Holycross is by Ben Purple, who is found in the pedigree of Custom Made. Her dam, Dromin A Lady by Western Pride, has won several honors in Ireland on the line as well. Legaun Prince, her great-grandsire has produced several excellent stallions, most famous being Skippy and Rakish Paddy. Loughleigh is a rare specimen that goes back to all four RID foundation sires.